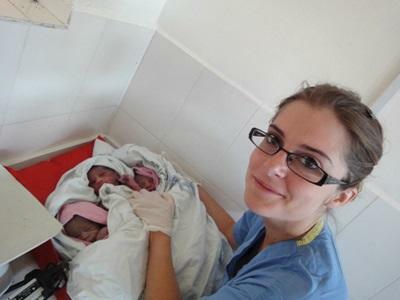 If you take your Midwifery Elective in Tanzania you will not just learn a lot from your time there, but you will also be helping poor and disadvantaged women and their babies who will benefit from your support. Maternity units will not have the level of equipment or resources that you are used to. You will learn a lot about birth in a developing country and learn how resourceful midwives have to be working with limited facilities. Projects Abroad have many years experience co-ordinating Elective Students in Tanzania. We have in-country staff who will help liaise with you and your university and make sure you are placed in a medical facility that will best fulfil the requirements of your chosen Elective. At your placement you will be allocated a qualified member of staff as your supervisor. They will be on hand to answer your questions and discuss specific cases with you. They are keen for you have a productive time with them and you will learn a lot about the midwifery profession in Tanzania. You will be placed in maternity units in either Moshi or Arusha. The largest unit deals with up to 90 births a day. Overall, your role will involve providing emotional support to women in labour, show them to their beds, and be an extra pair of hands for the midwives. According to hospital regulations in Arusha and Moshi, only volunteers studying midwifery or medicine will be permitted to observe cesarean sections and births. If you have no previous medical experience, or you are still a pre-med student, you will not be allowed to partake in observing cesarean sections and births. The more pro-active you are in your placement, the more you may be given to do. Maternity practice in Tanzania will be different from what you are used to. You may find some births quite shocking and you should try not to become emotionally attached to the patients, but be on hand to support the women and the midwives. You will live with one of our local host families who will welcome you as part of their family. You can spend your free time with our active Projects Abroad community, exploring the area.